There’s an ongoing argument about eye creams in the beauty world; some believe them to be utterly pointless and instead of making the separate investment simply use their existing facial serum and moisturiser right up to and around the eye area. Others (me included) like to use a separate cream and wholeheartedly advocate it. I have two reasons for using a separate eye cream and the first is that I’m the sort of person who has to be told to do something in quite a regimented way in order for me to actually do it. So, for example, if someone asked me to – I dunno – clean my car (HA! Chance would be a fine thing!) then I would no doubt take a bucket of soapy water and splosh it all over with my sponge, regularly throwing out the dirty water and replacing it with clean, rinsing the whole thing at the end to make sure that the soap was all off. I’d also splosh the water over the wheels, over the front grill bit and over the windscreen and back window, using my sponge to get them clean. Now this might sound pretty thorough to you, if you’re like me and indifferent when it comes to car-cleaning, but to the seasoned valet it would be an abomination. Because (apparently) there are separate cleansers for different parts of the car – black stuff to make your tyres all black and shiny (who has the time?! ), glass cleaner, polish for the dashboard and other bits and bobs if you have leather seats, or carpets that need a refresh, or chrome trim on your gearstick knob (lol) and door handles. There are all of these different products because there are all of these different materials, which all need to be treated in a different way. And so, in what must possibly be the world’s worst ever skincare analogy, we get back to the eye area on the face, which is thinner and drier that the skin on the rest of the face. I absolutely do see tiredness and stress much more in the eye area – and faster – than I do elsewhere on my face and many moisturisers that I use all over just don’t cut it around my eyes. Or else they do, and they are beautifully rich, but the oil gets into my eyes overnight and I wake up thinking I’ve developed a terrible problem with my sight. Or, to throw another scenario into the mix, I’m caning it with my exfoliating acids and I don’t want to take them too close to my eyes because they feel a bit burny there, especially on my little red patch I sporadically get. So yes: I do like different products for different areas, mainly the lips (Clinique’s Pout Restoring Night Mask would be far too greasy to use elsewhere on the face but is an absolute treat on the lips) and the eyes (it needs to be rich, nourishing but not too greasy) and, at a push, a separate product for the T-Zone if skin is massively different there to the rest of the face. And to go back to my crap car analogy, the other reason that I use an eye cream is that if I have dedicated products to do a dedicated area then I actually use them and apply them properly. If I was given a bucket of water to clean my car, but then also next to that there was a can of the black tyre stuff (seriously, who has the time?) and some window cleaning spray and a few different cloths with labels on that told me what exactly they were for, then I’m the sort of person who would follow the instructions and do an excellent job. Same with my beauty routines – give me a pot of face cream and I’ll slap it on all over. Give me a face cream and a separate eye cream and – for reasons already outlined, however crazy they are – I’ll spend the extra time pat-patting the eye cream in and giving myself a nice little pep-up massage around the orbital bone. So I just wanted to get that little monologue out of the way so that I can refer back to it whenever I’m asked whether I think a dedicated eye cream or treatment is worth the money. Now there is a caveat and that is, obviously, that it depends on which product it is. Some beauty ranges seem to just plonk an eye cream in for the sake of it and the ingredients are virtually identical to those in the matching face cream (the “matching” part should ring warning bells) but with a higher price-per-ml. I want a product that has been specifically formulated for the eye area, not just a re-potted face cream. I’m on a bit of an eye cream testing spree at present, so expect some reviews to pop up soon – you can browse my previously reviewed eye creams here. 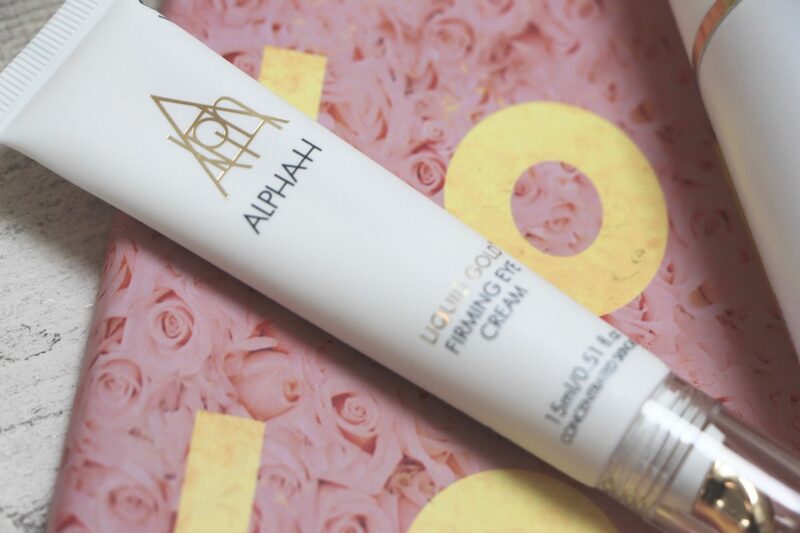 The new one from Alpha-H is great and I must do my full review (see post here) but I’ve just looked through my eye cream category and it’s woefully out of date, with many of my favourites not included. I’ve listed some suggestions below to keep you going, if this post has suddenly made you want to baste your undereyes in something effective! See also the Zelens Triple Action Eye Cream (here*), for a potent answer to many an eye complaint and Aveda’s ultra-hydrating Botanical Kinetics Eye Cream, £23.80 here*. As I said, lots of others to add, but this should give you some idea if you’re after immediate satisfaction.